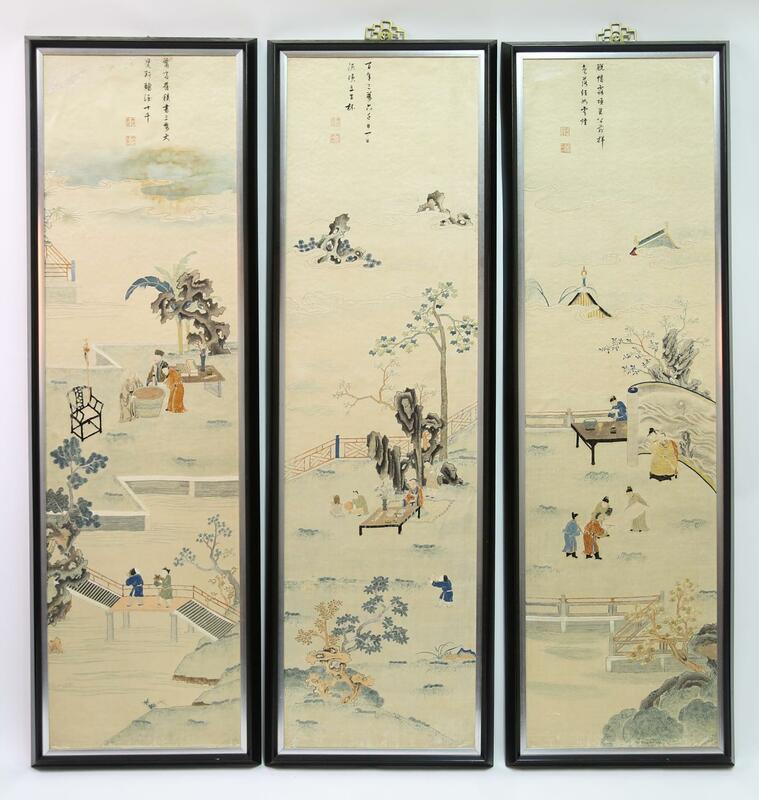 sold October 2015 for $11,187The Chinese art and antiques market has grown immensely over the last three decades. Collecting desirable and aesthetically pleasing works in many areas of Chinese art and antiques has become impossible for all but the most ardent of collectors. Chinese textiles is an area in which collectors from beginner to expert still may enter and find joy in collecting beautiful pieces. This category offers a truly wide variety of material with ranges in quality and size that make collecting possible at differing price points. Silk has been an integral part of the Chinese economy and culture for thousands of years. Silk production originated in China and has been found in neolithic tombs that date back as far as 8,500 years ago. The production process was a well guarded secret for hundreds of years, and disseminating it, including exporting smuggled silkworms or cocoons was punished by death. In ancient times this fabric was such a highly sought after luxury that the entire trade route between Asia and Europe was named after it, the Silk Road. Production of silk centers around silkworm larvae fed on Mulberry leafs that have woven a cocoon but have not yet hatched as adult moths. The cocoon is made out of one fine continuous strand and they can be up to 600 to 900 meters long. Several of these strings are twisted together to create a single silk thread which when combined produce a resilient fabric. Silk fabric has been valued throughout history for its strength, but it was also sought after for its glossy texture, bright colors and the soft feeling of the fabric. Silk was so important in Chinese culture and economy that one of the agricultural ceremonies the empress and other consorts would take part in every year was a special mulberry leaf gathering ceremony where they collected in a ritual fashion mulberry leaves that would then be fed to the silkworms. The empress even hosted a banquet for the 'guardians' or 'silkworm mothers'. 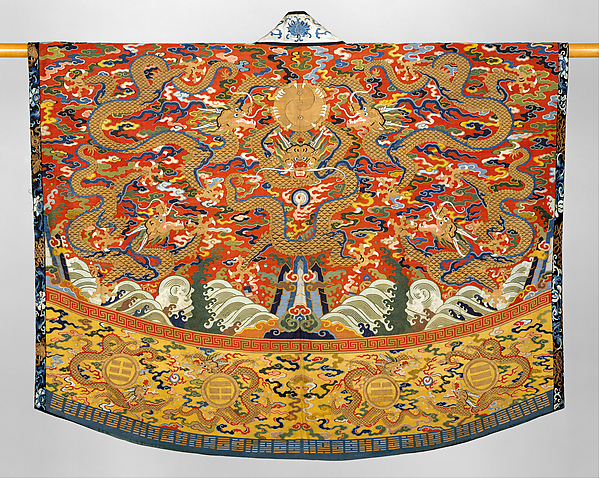 This silk was then used by the emperor for rituals of the state aimed to appease the gods. Some of the earliest silks that have been found beyond plain weave include brocade fabrics and damasks. In the Song dynasty a particular type of weaving that is still highly prized called Kesi was created. Kesi tapestries are woven on a small loom that is so fine the shuttle is actually a needle. The term translates to 'cut silk' and is believed to possibly reference the blocks of color that make up the textile and the small gaps between them. Kesi cloth was often used to create pictorial panels that emulate paintings or luxurious robes. These pieces are still sought after by collectors and early pieces can bring large sums. 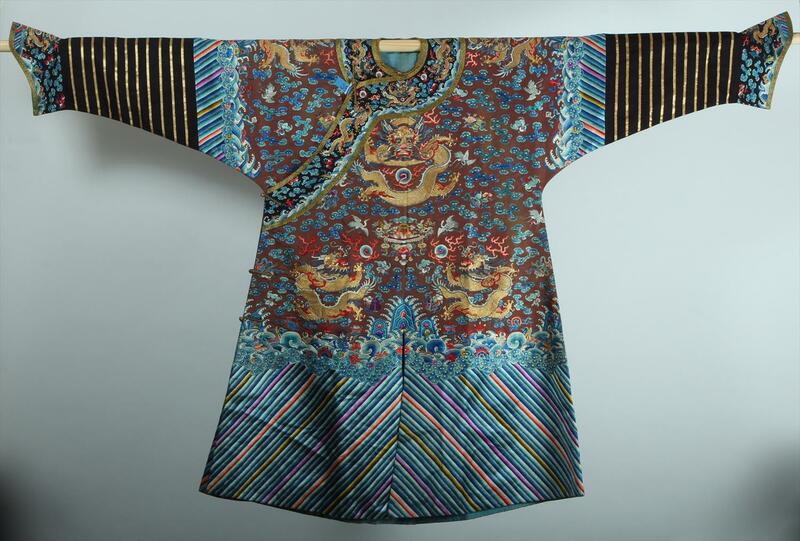 Chinese embroidered silk is the largest portion of the textile market and another up and coming area of collecting. Embroidered silks of high quality attract competitive bidding at auction. 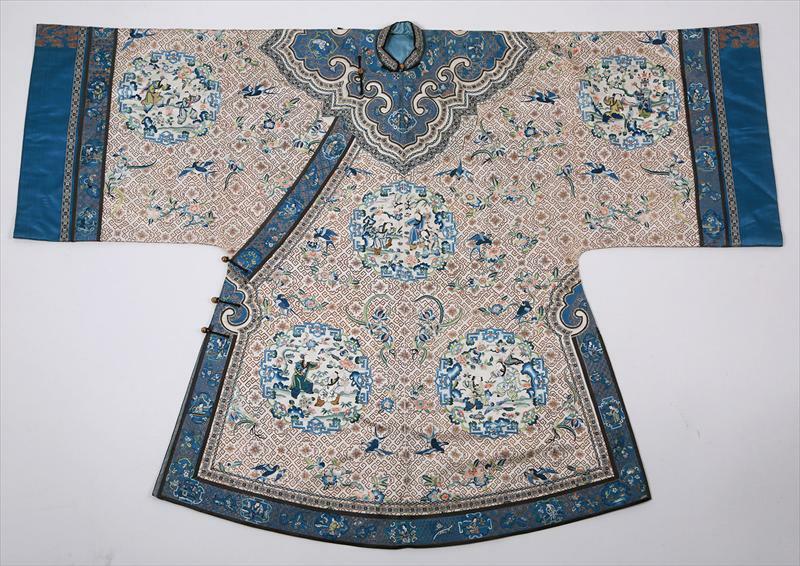 There is a large variety of stitches used in Chinese embroidery, the most well-known stitch being a seed stitch called the ‘forbidden stitch.’ Collectors usually look at, among other things, the complexity and detail of the workmanship and the broader appeal that is comes from its use or rarity. Even though silk is more readily available in today's global market, it's place in history mean it is still prized in China and through out the world. 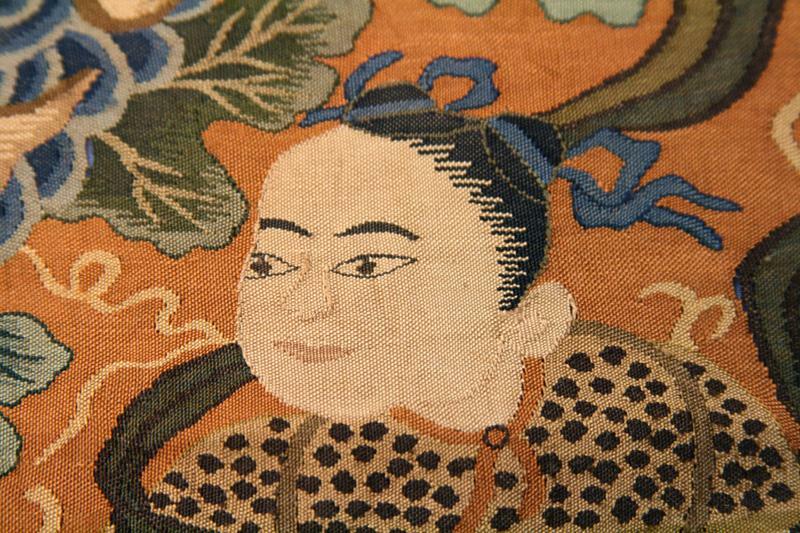 Detail of a Chinese embroidered panel showing several different stitches. 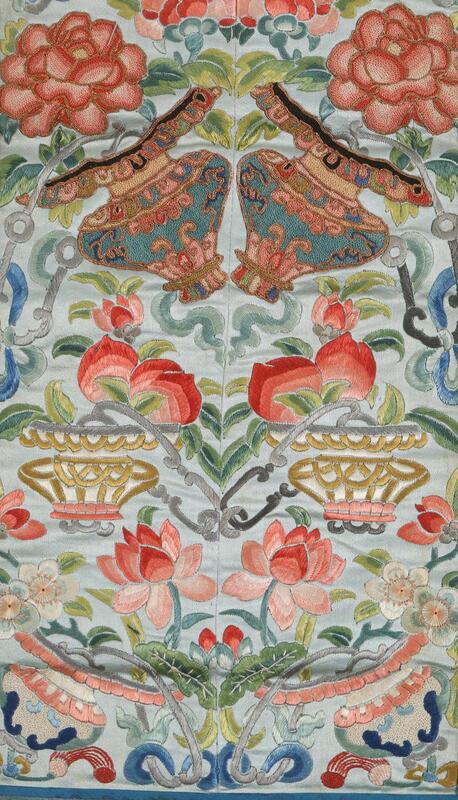 The forbidden stitch can be seen at the top of the panel and was used to create the flowers and vases.